In case you have never read this blog, I am a huge fan of Prezi. I remember using it when it first came out and thought it was neat, but lacked a user interface that made sense and thought it was to difficult to use. Throughout the past two years though, Prezi has worked hard at improving their product. They have actually listened to their customers. 1.) The Zebra tool got a new look. You can click a + or - size to increase font size or drag the zoom in and out feature to the size you need. 2.) Resizing of frames has also improved. It used to be one directional, but now you can resize the frames to meet your needs. 3.) Mentioned in another post, you can now bend lines as well. 4.) There is also a supplemental menu when you right click in your Prezi now. 5.) Line Snapping allows you to make sure that your line is at the right angle or not...especially horizontal. Strike is a simple To Do Application where users can create a list and then as they get items done on the list "strike" them out...or knock them down. It is as simple as giving your list a name, adding things to the list and then marking them out, moving to the bottom or removing completely. To remove an item from the list you can check the box or click and drag it to the left or right of your list. You can also choose from various backgrounds and easily reorder your list if necessary. Each list has its own URL so you can share it with other users. You can also easily print your list if necessary. I could see this application being used by students who are collaborating in a group. As each task gets done, the students would Strike them off the list. It would really help students learn organizational skills and provide a way to ensure that all the task for the project get done. For many of you summer is about to start or has started. For others (those plagued by snow, flooding, and severe weather) you still have a couple weeks left. Summer is usually a slow time for this blog as I take time for family and other endeavors. However, with graduate classes and working summer school, there might be more action around here....you just never know. 1.) Netspeak helps you improve your writing. When searching for words, Netspeak can give you directions. Their dictionary contains billions of phrases and how commonly they are used. 2.) English Tenses With Cartoons is a website that helps users learn the proper tenses of words by providing cartoons to teach them. Great for middle school grammar lessons. 3.) Stick Figure Hamlet is the story of Hamlet in stick figures. Not much else to say...but easy for students who struggle with Shakespeare to understand it. 4.) Ape Word is a website that helps you improve your writing. You copy and paste some text into a "chalkboard" and it will generate drop down menus that provide synonyms or alternate words for users. How it chooses those words I am not sure...am guessing it looks through and finds the ones used more than one time. 5.) Cool Tools for Writing is a four part series (this link takes you to the 4th part and then you can get to 1-3 from there) from the Ed Tech Ideas Blog. It provides links and information to resources to help with writing. 1.) From Free Technology 4 Teachers comes a blog post with links to 5 Free Online Scientific Calculators. A valuable asset for 1 to 1 schools so that students can save some money. 2.) Math Maps is a activity idea from Tom Barrett where students use Google Maps to complete math activities. If Google Maps zooms in enough to your hometown this would be a valuable activity to study the community. What an interesting idea...kudos! 1.) The Howard Hughes Medical Institute offer five virtual labs for teachers and students to learn about Transgenic Flies, Bacterial Identification, Cardiology, Neurophysiology, and Immunology. 2.) Build a Solar System allows users to input the diameter of the sun and from that users will learn about how that impacts other planets in the solar system. Users will also learn about the distance and speed of light as well. You can also visit a more extensive page that allows more features. 3.) At My Science Box you'll find complete, scaffolded lesson plans to teach a 4-6 week middle school science unit through activities, projects, and field trips. Every lesson has been kid-tested with students at Archway School. 5.) 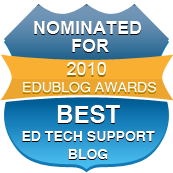 From the iLearn Technology Blog comes a great list of 33 Space Websites to Celebrate the Luanch of Endeavor. A great and a good synopsis of several websites that have been shared on this blog as well. 1.) Google Geography Teacher's Institute is a professional development opportunity for social studies teachers to learn how to sue the various Google Tools, such as Google Earth and Sketchup. Travel and Room are not provided however. Winners will be selected on August 15th, so make sure you apply well before that. 2.) Newspaper Map allows visitors to find and discover the newspapers from all over the world. A great way for students and teachers to be kept up to date on events happening from the journalists in those countries. Each color coded place mark lets you know what language the paper is available in as well. 3.) YouTube Town Hall is a channel where videos are shown of politicians discussing various government policies. A great way for students to see the differences between conservatives and liberals. You can choose the issue, click who you support, and see who is winning. 4.) Free Maps offers blank world and continental maps for free. Choose from various styles and print them out. 5.) Thinkport Tools offers a free online timeline creator for teachers and students. You can start on a project, save it, and then get access to it later by the name you give it. The setup and final product is very simple. A good tool for introducing timelines. I have been on Twitter for about a year and a half. In that time frame I have picked up over 2000 followers and followed over 1300. With a change in position coming next year, I decided it was time to organize those 1300 into lists so that I could easily see what people were saying related to subject matter or specialty. I made a mistake in thinking that would be a simple and quick task. So here is my suggestion to those of you that are new to Twitter and starting to buy into the process of a PLN. CREATE YOUR LIST NOW!!! Even if you are not following someone to include in a list, you will. I created about 15 list. I have some for subject matter, some for administrators, some for educational technology, etc. It took a lot of time to put people into those list. My PLN life will be so much easier now that I have done that. Another reason that I did this is that I wanted to be able to easily see some of the latest Tweets from people I follow that are not involved in education. I also wanted a way to easily follow some of my favorite educators on Twitter. First set of Core Subject Resources for the month of May. The home stretch to summer time. Hoping for a good two week dry spell at some point so I can get out on the golf course. My area received anywhere from 15-20 inches of rain the past two weeks. To put that into perspective, that is 600% above normal. On to the resources. 1.) Global Poetry is a wiki created by an English class to help log favorite poetry from all over the world. You will notice the pages are organized by country, so add yours or share a favorite if your country is already listed. 2.) Wolty is a simple Language Notebook for you and your friends to post your notes and help each other. You can sign in with Facebook or create an account. Wolty aims to get you into the habit of saving the things you discover and the questions you wonder along with this meaningful context. An interesting concept. 4.) 10 Free Online Spell Checkers - We all know that most document based software comes with their own spell check, but with more web publishing, these could come in handy. 5.) Topicmarks summarizes text documents for you electronically. Get a smart synopsis in minutes instead of reading everything yourself. You can condense any text into an abstract, extract facts, connect texts, and outline and summarize your text. It is currently free, although there is a process in the future to start charging for the feature. 1.) Virtual Volcano explores the explosion at Pompeli. A valuable resource for explaining the powerful forces behind these wonders. 2.) Dynamic Periodic Table is a completely interactive Periodic Table of Elements for the Chemistry classroom. You get information, data, and images for all the elements. Great for teachers with an Airliner or SMARTBoard in the classroom. 3.) Body Spectrum provides digital coloring books for learning about anatomy. There are 12 different coloring books that you can use. Another valuable resource for teachers with an Airliner or SMARTBoard. 4.) Moon Zoo is a website that goes above and beyond to help visitors explore the moon and the lunar surfaces. For more information check out the iLearn Technology Post. 6.) Eyes on Earth is a website for viewing the Earth through various telescopes and also for gathering data and seeing how the Earth is changing. For more information, check out the iLearn Technology Post. 7.) Photopic Sky Survey is like the Google Earth of our Universe. Zoom in and pan around the universe like never before. A fun way to see just how tiny we are here on Earth. Information for planets and other aspects of the solar system are clickable to information from Wikipedia. 8.) Harvard Natural Science Lecture Demonstrations provides information and videos into several experiments related to science. Demonstrations are divided into different areas of science. I also recommend checking out their NatSciDemo's YouTube Channel. 1.) American Historical Association has put together a list of 100 films reviewed by Historians. A good glimpse into what historians think are accurate portrayals in films. 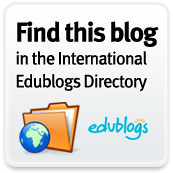 For more information, check out the U.S. History Educators Blog. 2.) EconStories.tv is a website that provides videos explaining the differences in the theories of two famous economists. There are also music videos and can be humorous and entertaining for studying Economic concepts. For more information, check out Free Technology for Teachers. 3.) Where Do You Fit is a new 2011 Pew Research survey to help determine your political typology. It breaks it down into multiple categories between Liberal and Conservative. This is the most complete Political spectrum survey I have seen. Great resource for government teachers. 4.) Ingenious is a website that helps to bring together images and viewpoints to help create insights into science and culture. You can read articles, debate topics, view images, and create your own account to a have your own personalized links, images, e-cards, and web galleries. Came across the following video on Twitter about an algorithm that creates a filter bubble around us as we use and search the Internet and influences our search results and what gets through these "filters." As educators, it is this type of information that we need to be sharing with our students and discussing impacts on news, education, politics, and the future. I HIGHLY RECOMMEND WATCHING THIS!!! In continuing with my EdTech Tip for Administrators posts I share with you an important and potentially essential method of communication with parents, students, and the community. More and more students and parents are joining and using Facebook. They are there, and you and your school should be too. For some, the idea of Facebook use by their schools brings a smile from ear to ear; the thought of providing an avenue of communication for parents. For others it brings thoughts of a fear of the unknown. How will it be perceived? How will parents react to certain stories? What if they voice their opinion and....complain? As an administrator, would it not be beneficial to know what your parents are thinking; outside of the parent who calls and stops by the office? Wouldn't you like a place where parents can get a flow of updates of the GREAT things that your students and teachers are doing? Sure, you could create a newsletter and mail those out every week or month...but why spend the money on postage? Facebook provides a valuable and free resource. Parents and students are using it. Our district recently created a Facebook page and since it was created we have averaged 300 "Likes" a month. With snow days and flood days, it has been pivotal in relaying information and allowing parents and students to voice opinions and vent frustrations, while at the same time allowing the district to clarify and answer parent questions that might not be mentioned on the radio, TV news ticker, or phone call. We have also been able to share some of the great accomplishments of our students, teachers, and schools. Whether it is a simple "Look what __________ School is doing" or "_____________ student/teacher wins __________ Award;" we were able to share those stories that often get left out of the newspaper and TV news. Facebook use does not just have to be for sharing news. It can also be for sharing resources that parents and students could use. Information about Social Media and Cyberbullying would be a valuable asset to so many parents. Share links to information about using a computer or web 2.0 tools that students could use for a project. In a way you would be using Facebook to teach parents and students about using Facebook AND the Internet. - How Schools Can Use Facebook to Create an Online Community - From Mashable, Provides several ideas for how to use Facebook. - From the American Association of School Administrators (Who also has a Facebook Page) comes the article: Is Facebook a 'Friend' to Schools? Provides both positives and negatives about Facebook for school use. - "Principals and Social Networking" is a valuable report worth looking at if interested in starting Social Media use at your school or district. 3.) We made the settings where the comments only showed if you clicked on "Read Comments"
4.) We have multiple district employees who post news and information and communicate who does what in relation to that. 5.) We created an email account specifically for creating social media accounts (Twitter and Facebook) so that none of the district employees were using their email to create the page. Teux Deux is a free simple and easy to use web-based To Do website and iPhone Application.You can view events by week and skip forward by day, week, or go to a specific date using the calendar method. Editing events is as simple as dragging and dropping content from the list to the editing text box and pressing enter. Another great feature is "Someday" which allows you to create events or important things that you want to complete sooner or later. They can be organized by category. Great for students who struggle to keep track of things they have to get done later on in a school year. Graduation is just around the corner for high school seniors and for many will be the next step of going to college. Getting ready for college can be a nerve wracking experience, especially for parents. Sometimes the thought of finally being on your own can be a difficult thought to manage. How do you know what all you will NEED for your first year?? I remember packing and going to college and realizing I was missing a lot of necessities...like a phone and an alarm clock. Luckily, there is a website that will help future college students create a College Packing List. With College Packing List, students will get two list. One will be what you need to pack and the other will be a shopping list. The packing list has already customizable items that the site thinks you will need. You can easily save, print, and share your list with family and friends through Facebook and other avenues. If something is not on the list that you are packing or shopping for you can easily add it. An additional feature is the ability to search Slugbooks for used and new college textbooks. If you teach seniors, share this website with them and their parents. I recommend sharing the link with your guidance counselor's as well. This post is being provided by Eric Crabtree, a guest author. I teach art at Hopkins County Central High School and have been given the opportunity to share with you my views on how technology and art can work together. The web is full of art related resources. Listed below is a small sampling of the websites, blogs, and twitter feeds I use on a daily basis to help aid in my students' artistic experience. Everyday a new artist is provided a small spotlight on their work. This is a great way to find artists from all over the world. Check it out on the web at: http://artistaday.com and follow them on twitter at: http://twitter.com/#!/artistaday. Jen Bekman has taken her passion for supporting emerging artists and made their art available for everyone on the web. Here you can find limited edition prints for low prices. Each week at least two new editions are added in three to four sizes. In the beginning the smallest size was reprinted in an edition of 200 and sold for $20. Hence the name 20x200. Sometimes the original artwork is also available. Check them out on the web at: http://www.20x200.com, twitter at: http://twitter.com/#!/20x200, and follow their blog at: http://twitter.com/#!/20x200. The Behance Network acts similarly to a social network site, but caters to creative professionals. Members create a portfolio to showcase their work where creative companies, recruiters, editors, and more can find incredible work and talent to hire. I am not a Behance member, but I am considering it. Check out what Behance Network has to offer at: http://www.behance.net/ or follow on twitter at: http://twitter.com/#!/Behance. Here one can find many sources for art and design. Design Observer has many established ways to stay connected. You may subscribe via email or blog, follow on twitter and facebook, or use their free iphone app. Jason Polan is attempting to draw every person in New York. If you follow his blog at: http://everypersoninnewyork.blogspot.com/ you can monitor his progress. His contour drawings are great! It might also be worth mentioning that West Elm sells some of his art as well. Rachel DeJohn quotes John Lennon in her bio: "Imagine all the people living life in peace. You may say I'm a dreamer, but I'm not the only one. I hope someday you'll join us, and the world will live as one." As an outsider who has never met Rachel, I would say she is doing a great job living an art dream. You can find her at http://rachellovespeace.blogspot.com. Many of these resources also have facebook pages, but I do not use them because of restricted access at school. I hope to be back soon with more art resources.